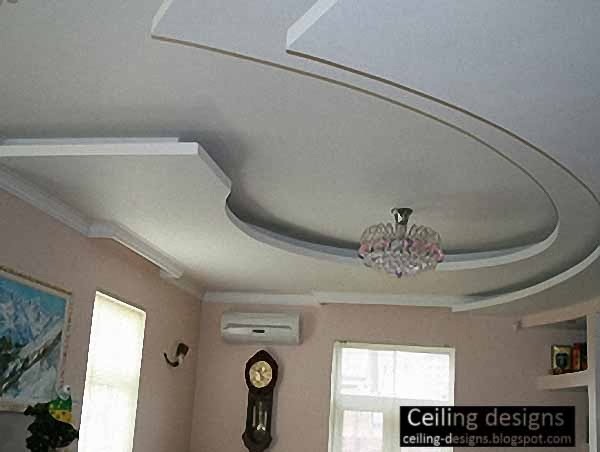 simple design of a curved ceiling , this curved ceiling was made of gypsum , it consists of two layers of gypsum were installed under the main ceiling, so, it's a false ceiling or multi-level ceiling, this curved gypsum ceiling designs for living room is suitable for any interior style, the central chandelier is a crystal chandelier, it's simple and beautiful. 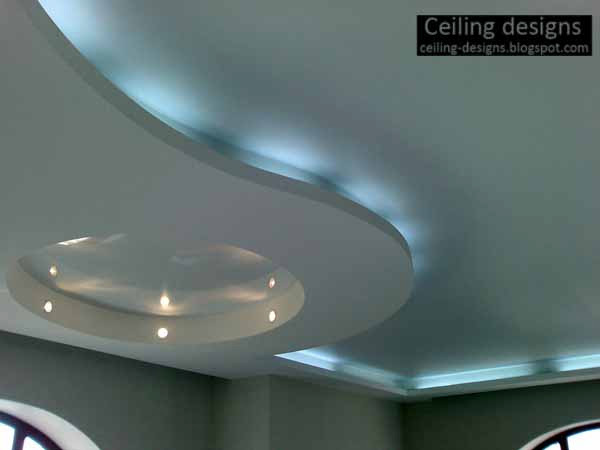 the second ceiling is this article, it's a curved ceiling made of gypsum , this curved gypsum ceiling has a gypsum fall ceiling under the main ceiling, this type of gypsum ceiling designs is called false ceiling, and the type of the creative ceiling lighting between the two ceilings is called hidden lighting or backlight, it's amazing. what about your comment?